College stores help students persist and thrive. Great college stores are more than just retail. As a campus hub, these bookstores invest in student success, persistence and experience by creating an inclusive environment for all students. Building on the store’s multifunctional environment and deep understanding of students, college store leaders can help develop a more meaningful connection between students and their campus by hosting well-planned engagement events. Gen Z and non-traditional students are different in many ways, but they also have similarities. Both groups of students care about college affordability and carry a significant amount of stress. Strategic and timely college store events can help students overcome these challenges and improve their overall campus experience. Orientation is a great way to immediately begin building a bond with students. Students who feel connected to their school during orientation are more likely to stay enrolled, according to a study published by the Journal of Vocational Behavior. Not only do students get vital information they need to acclimate to campus life, but they also learn about the campus resources available to help them make it all the way to graduation. It is also important that students are introduced to the college store during orientation. The college store can help demystify course materials and explain how having the necessary materials affects their academic success. This early contact with students gives the store an opportunity to explain the various course material formats and share information with students and parents that will help cost-conscious families lower costs. As the term progresses, all students face mounting pressure. 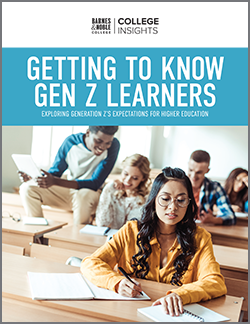 A variety of factors including academic achievement, social pressures and family responsibilities can leave Gen Z and non-traditional students feeling lost and unable to keep their heads above water. 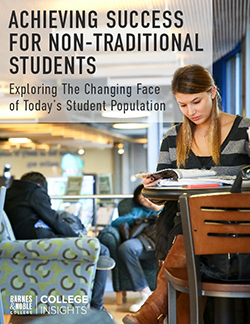 Non-traditional students often have many responsibilities outside of campus life. Completing a degree is important to these students because it is a chance at a better life. However, many non-traditional students have families, work full time and feel disconnected with their school, which can enhance their stress levels. Gen Z students also struggle with stress. The American Psychological Association reported that members of Gen Z are the least likely to say their mental health is excellent or very good, and females are almost twice as likely as their male peers to report that their mental health is fair to poor. Students need more outlets on campus to help center and balance them. 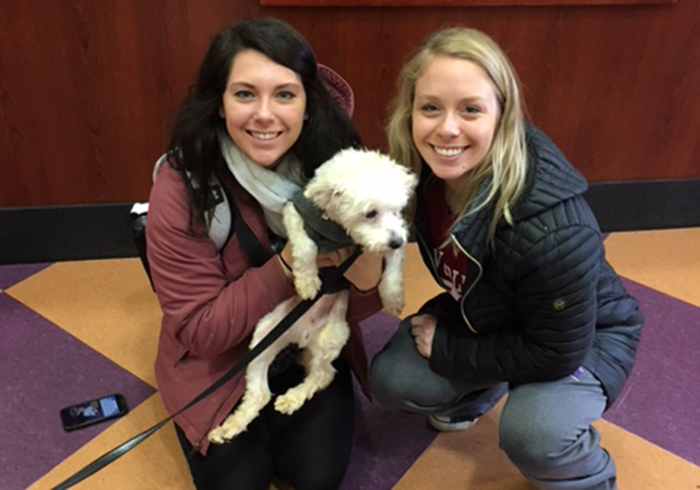 Wellness and de-stress events hosted by college stores can provide students with a necessary break. These events could include yoga, a massage chair, games, coloring, food, etc. Campus bookstores can also partner with student support services to provide students with resources to live healthier lives. These events could share information about flu shots, help students identify healthy food choices available around campus and promote activities that encourage students to stay active. Purchasing course materials for the first time can be intimidating for new students, especially first-generation students. College stores can provide students with a fun, casual night where first-year students can get help finding their course materials, get to know one another and participate in a fun campus event that welcomes them to their new school. “Our VIP night was the perfect opportunity for them to take that time out in a casual atmosphere, shop and meet friends and get their questions answered,” General Manager of the Barnes & Noble at Texas A&M University bookstore, Holley Scott said. “VIP Night is just a great vehicle for us to communicate all the benefits the bookstore can offer.”. The college store is a part of the student experience from the moment they enroll all the way through graduation and beyond. One way for college stores to help celebrate graduating students is to simplify the graduation process. By hosting a graduation fair, stores can alleviate some of the overwhelming and stressful preparation for graduation. At Barnes & Noble College Grad Fairs, students can pick up their graduation realia, register for graduation, have their portrait taken, purchase gifts, speak with a representative for class rings, announcements and diploma frames and get more information on the alumni association. All of this is done in a casual relaxing environment. Students can enjoy refreshments while they complete some of their most pressing graduation tasks in one easy event. As college retail continues to evolve, college stores must focus on the future. By investing in student success and achievement, college stores become an important campus resource that can help students persist and thrive.